From beginners to professionals, all singers can enjoy great results with the VE-5. Even technophobes or non-musicians will embrace this creative processor, thanks to its simple, intuitive operation. The handy Favorite Sound function, for example, lets you instantly access your preferred sounds with a press of button. The VE-5 is suited for a variety of settings. It’s perfect for live performers, and the included mount lets you attach it to any standard microphone stand. 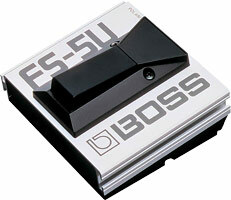 Some of the VE-5’s functions can even be controlled by footswitches, which is great for hands-free operation. When powered by batteries, the VE-5 becomes an ideal tool for street performance, and it also fits beautifully in homes and studios as a tabletop processor. The VE-5 has six types of high-quality effects and various special processing, all inherited from the VE-20. Enhance your vocals with smooth Reverb or Delay, or control the level with the Dynamics function. 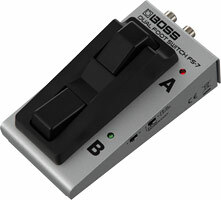 Thicken your voice with the Double/Harmonizer and correct intonation problems with Pitch Correct. Use the onboard Distortion, Radio, and Strobe for unique and impactful special effects. You can even create iconic pitch-correct / hard-tune effects — a staple of many modern hip-hop and pop hits. Have fun layering and looping your voice with the VE-5’s built-in Phrase Looper. You can generate harmonies with yourself in real time, or jam over your own looped beatboxing. This creative feature greatly expands the potential of real-time vocal performance. 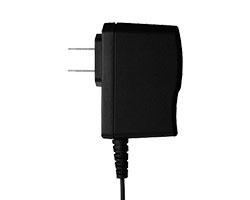 * These figures will vary depending on the specifications of the batteries and the actual conditions of use.